The publishing industry is one that gets a lot of attention from many different places. For all of this attention, though, there has never been a single location that brought together the many different voices of publishers, authors and agents all talking about the industry they have devoted their lives to. The magazines for the publishing industry are too insular, and broader social media discussions tend to be too broad. 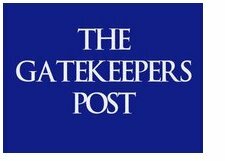 Today, a site called The GateKeepers Post is proposing to fill the gap by launching with a slate of top notch contributors from every corner of the publishing world all sharing their thoughts about the industry. I'm one of the featured contributors as well, and just published my first post on the site titled "How Indifferent Authors Might Kill Publishing." 1. What was the moment when you first became inspired to create The Gatekeepers Post and what is the mission of the site? I write for many different national publications and one day I became ticked off. An editor scolded me for leaving out a semi-colon in a sentence and I thought to myself, "Really? Shouldn't the emphasis be about creating great content that has our readers coming back for more? " I just had one of those If I ruled the world moments and thought, "Hey, why not? I have the contacts, I have the relationships, I have the resources. Why not?" The mission of our site is to be a significant part of the book publishing conversation. So many changes are happening right now in our industry that if we do something now, the last 100 years of blood, sweat, and tears we've put into our industry, will all come crumbling down. 2. The topic of publishing tends to get a lot of attention on multiple media focused sites. Why do you think the world needs another site like The Gatekeepers Post? Well, that's just the thing, there isn't another site for the book publishing industry like ours. The Gatekeepers Post is the first relevant social media book publishing community on the web. To have this level of top-tier professionals in the industry all band together under one roof, tells you that the industry was ready for something like this. 3. Describe the editorial vision behind the site and what you shared with all the contributors in terms of what they should write about. My vision for this site is to allow each contributor to write about issues in our community that affect them and from their perspective. You can take the same event, such as the possible closing of Borders Bookstores and it affects an agent differently than an editor, than an independent bookstore, than an author. It's very important to me to allow each contributor to have their own unique voice and take on the events of the day and not to try to cram them into a mold I see. I have Gatekeeper contributors on the site whose opinions I don't agree with and that's great, that's what our industry needs. 4. You obviously have some very influential participants in the site and on the editorial advisory board – how did you go about recruiting all of these people and what was the greatest roadblock you faced in getting them to come on board? The book publishing industry for some crazy reason has opened doors for me from the very beginning and after you've worked with these amazing people and built a relationship on the foundation of honesty, of helping each other, of supporting each other, it was only a matter of asking and they were on board. 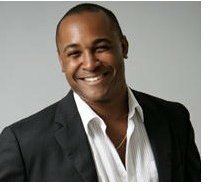 You see, we need something like this for the industry, it's time and as they say, "When something is meant to be, and it's the right time, it's virtually effortless." It was time. 5. The site is launching today – where do you hope it will be six months or a year from now? I would very much like Gatekeepers to be a destination for people, for it to be one of the top sites our community bookmarks and reads regularly and not only reads but participates in. When I say community, I mean it. Our contributors value the feedback from our readers and encourage it. With the online video conferences and panel discussions and author readings we'll have in the near future, I anticipate in a year from now, The Gatekeepers Post will be at the tip of everyone's tongues when they're talking about significant sites that bring value to the book publishing community.